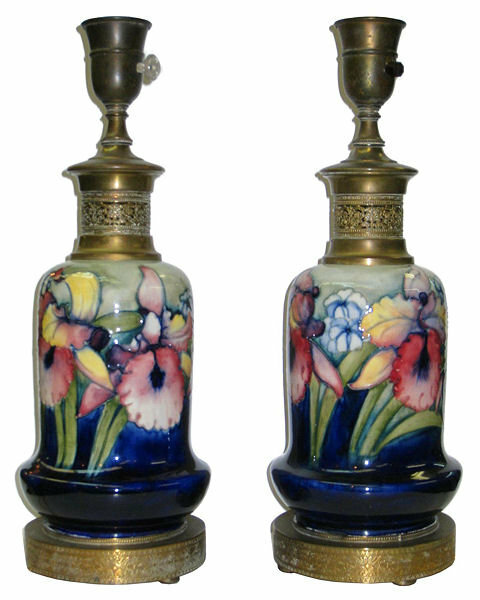 This pair of ceramic table lamps by Moorcroft date from the late 1910s to 1930s and are in excellent condition. There are no signs of damage or repair. 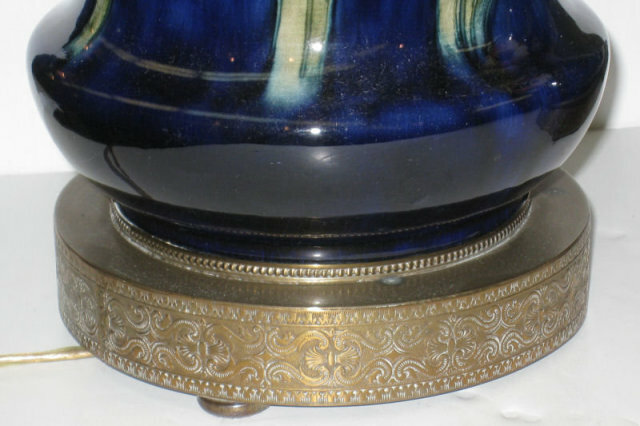 They measure 23.5 inches to the top of the finials and 5.5 inches across (59.7 by 14 cm). 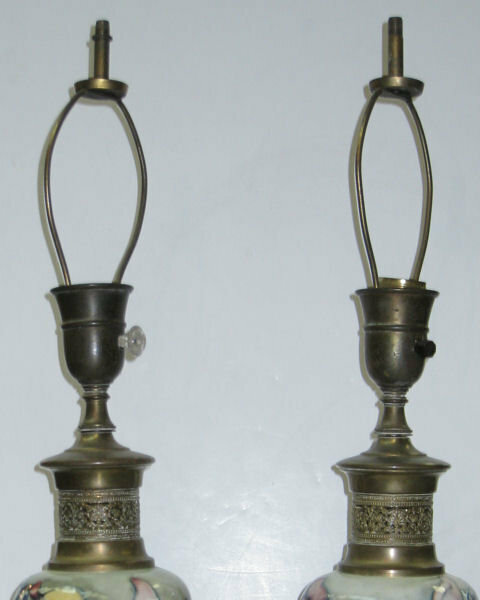 Each has its original hardware and modern wiring. Additional images forwarded upon request. 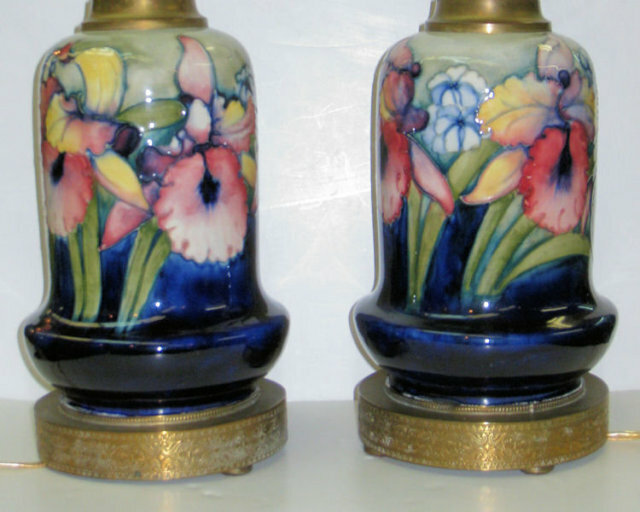 Items Similar To "Pair of British Arts & Crafts Ceramic Table Lamps by Moorcroft"